A timeline to guide your OKR process with your organization, team, and individual contributors. Use it to start planning your goal cycle. Salary and bonuses should be divorced from OKRs and performance reviews. Learn why compensation should be done without OKRs here. OKRs And MBOs: What's the Difference? MBOs were the brainchild of Peter Drucker and provided Andy Grove a basis for his eventual OKR system. Learn how they differentiate here. OKRs And CFRs: How Do They Work Together? CFRs are the “sibling” to OKRs and stand for Conversations, Feedback, and Recognition. Learn more about how CFRs complement OKRs and the best way to practice them here. KPIs And OKRs: What's The Difference? OKRs and KPIs complement each other. They both have their place in a well-functioning organization. 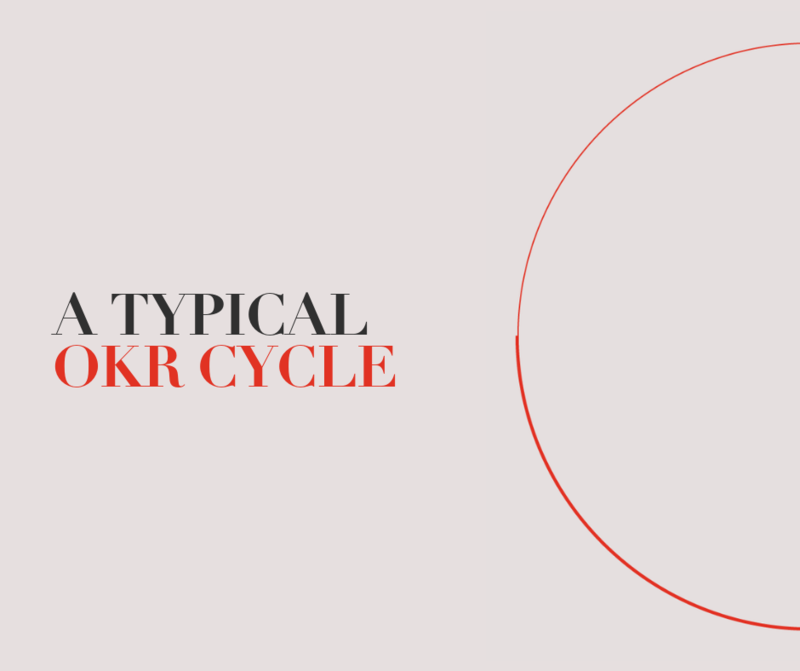 Learn more about how KPIs fit into an OKR cycle and how the two beneficially differ here. Continuous performance management is a two-part, interwoven process. Learn how to use it to plan and have more effective OKR conversations with your team. No one has more collective experience in implementing OKRs than Google. Use their insight to understand how OKRs can be used to achieve audacious goals—and to inspire your own approach.